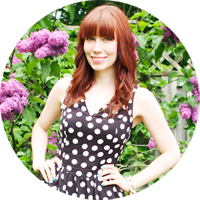 Miss Kait Online» Blog Archive » Exclusive Discount & Giveaway from Sneakpeeq! April 29th, 2012 | Exclusive Discount & Giveaway from Sneakpeeq! I’m so excited about this giveaway & offer guys! Not only did Sneakpeeq contact me about doing a giveaway ( a $25 credit! ), but they were also generous enough to offer an exclusive discount of 20% to all Miss Kait Online readers who enter and register for a new account (which will apply to your first purchase), so really everyone wins! So, let’s get on to the giveaway and how you can receive 20% off as well! 3. 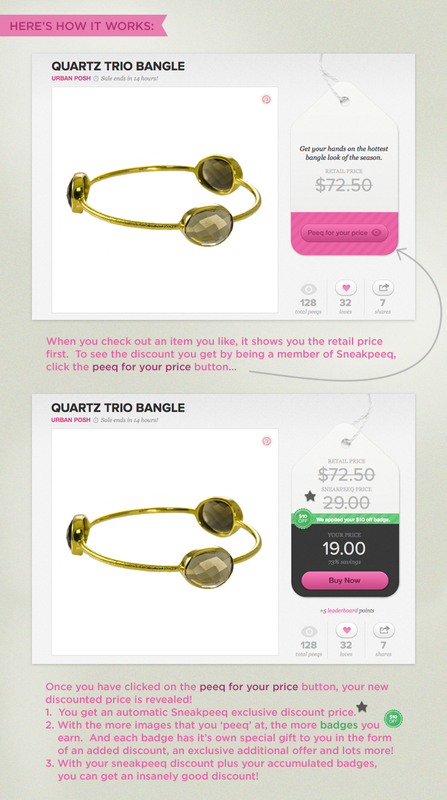 At the moment, sneakpeeq is limited to the U.S. Therefor you must be a current resident of the U.S. to enter. The contest will run for 2-weeks, so you have until Saturday May 12th, 2012 to enter and can enter by clicking on the image or link bellow. Good luck & happy shopping! Click here to enter & to receive 20% off on your first purchase!! And congrats to LISA who won the previous giveaway, for $25 store credit to The Lovely Hunter! This entry was posted on Sunday, April 29th, 2012 at 11:30 pm	and is filed under Giveaways. You can follow any responses to this entry through the RSS 2.0 feed. You can leave a response, or trackback from your own site.